Since the release of IBM Cognos TM1 10.2 it has been possible to leverage multi-core CPUs into 100% action as the MTQ (Multi-Threaded Query) allows to spread queries along multiple cores. Unfortunately this applies only to queries (as figure 2 here illustrates), therefore the TI processes are still ran in single thread and can only use one core at a time. This quite annoying because if you have for ex. 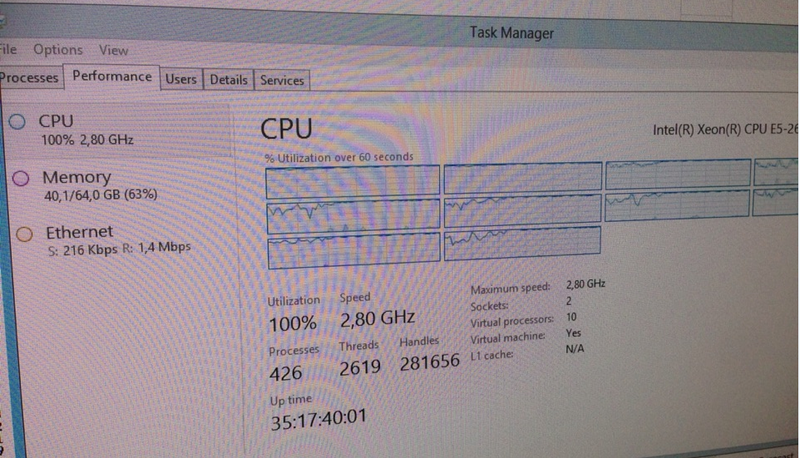 64 cores you end up running CPU-intensive TI processes only with one core! With some serious magic this limitation can be of course turned around with little help of tm1runTI.exe tool. With it’s help we can start multiple TI processes at the same time via command prompt and achieve the consumption of more than one core at the same time! 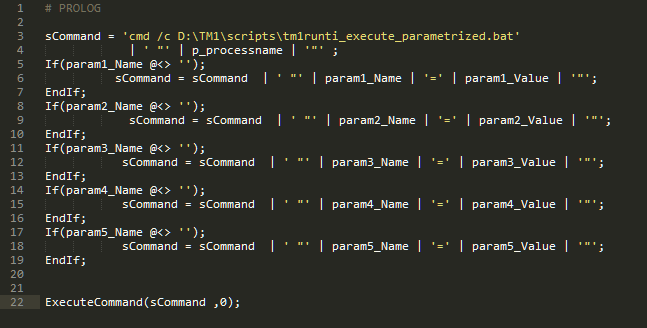 Maintenance.Execute.Tm1RunTI.Parametrized – Universal parametrized wrapper TI process that wraps the calling of the batch file above. Can be used to run any TI process in parallel execution mode. A parametrized TI process that can safely be ran simultaenously to avoid locking. For example a version copy process parametrized by year/month etc. See details in the “Usage example” section. The batch file itself is very straightforward: it needs authentication information and the name of the process that is going to be executed in parallel. Now that the core modules are introduced it’s time for and usage example. Lets say you have multiple big cubes and you want to make copies of versions in each of the cube periodically. 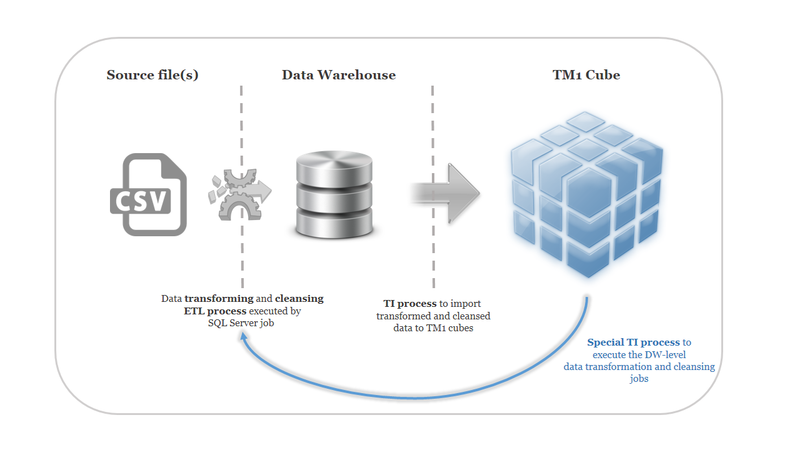 With big cubes and big data amounts that could take long as TM1 only uses 1 core for the TI process execution. But here we can now make a big difference: we can divide the copying of the versions by year and do the copying for each cube at the same time (the only limitation here is the amount of cores available). What we do here is that in the outer while loop (has been left out of the picture) we iterate trough all the cubes that we want to process with the version copying. Then in the inner while loop we go through years between 2006 and 2018. Depending on the amount of cubes we could end up with for example +100 separate TI process calls. As they are separated from each other by the time dimension they dont lock each other and can be ran at the same time (this is the most important part: one must design the runnable TI process in way that when it’s executed in separate threads the executions dont lock up each other!). The 10.2.2 introduction of MTQ was a relief and it’s a feature that should have been there 10 years ago when multi-core CPU’s arrived. Unfortunately TM1 still lacks the out-of-the-box feature to execute TI processes in parallel but with this little trick we can overcome this limitation and reveal the full power of the CPU in our TM1 solution! 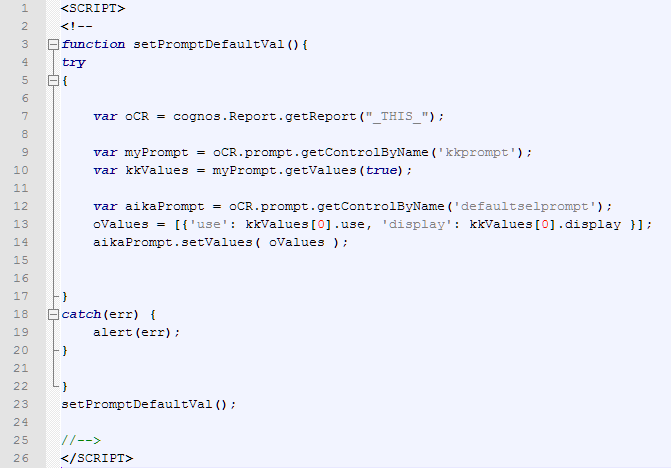 IBM’s official answer says that one must use SDK and develop some custom code to get a grip on a cookie value that is set by the IBM Cognos BI portal. Luckily fellow TM1 gurus found also an alternative way of fetching the cookie “cam_passport” value but unfortunately the value could keep changing multiple times a day. Now if you have automated the maintenance utility it may keep going for a while but when the cookie value expires the utility stops working. And that’s bad. Basically what it does is make a http request to the IBM Cognos portal using the credentials provided (these must be the credentials of a TM1 admin user that has priviledges to run the app_maintenance.bat). On the last line it writes the “cam_passport” cookie value into a temporary file. Now, to make sure that the cam_passport is valid through all times you can schedule the command above to Windows Scheduler and put it running say every 30 minutes. Where the application_id is the unique id of your application. Se on siinä! As we would say in finnish. That’s about it. Now you can sleep safely knowing that your automated application maintenance utility keeps running even if the cam_passport value changes. TM1 Turbo Integrator is quite limited when it comes to loading data from different sources and transforming and cleaning the data before it can be loaded to cubes. Therefore you might have a dedicated data repository for your TM1 solution for example a data warehouse. Sometimes you need to refresh the DW data before it can be loaded to your TM1 solution. 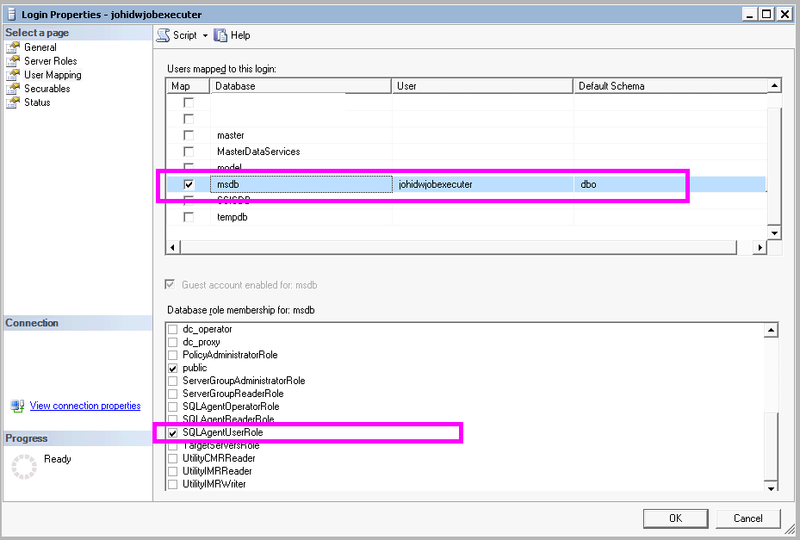 Then you face the question: how to manually execute data warehouse refresh ETL jobs? Of course you can always use SQL Server Management Studio and run the jobs there but if there is a need for the end users to manually refresh the data during working hours it would be nice to provide them a single-platform solution do accomplish this. So lets face it: maybe you already have some user interface for the end-users to execute some TM1 solution’s internal TI-processes. 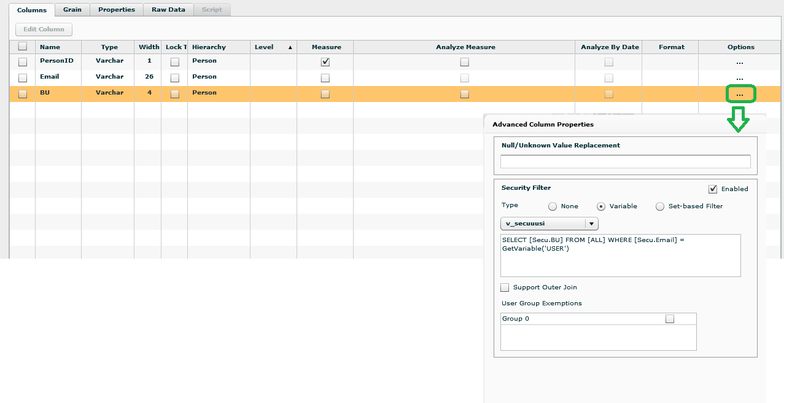 It could be via TM1 Perspectives web sheets on TM1Web, straight from TM1 Architect etc. Wouldn’t it be nice to have the ability to run external DW loading processes from the same place? Here is how to accomplish it. 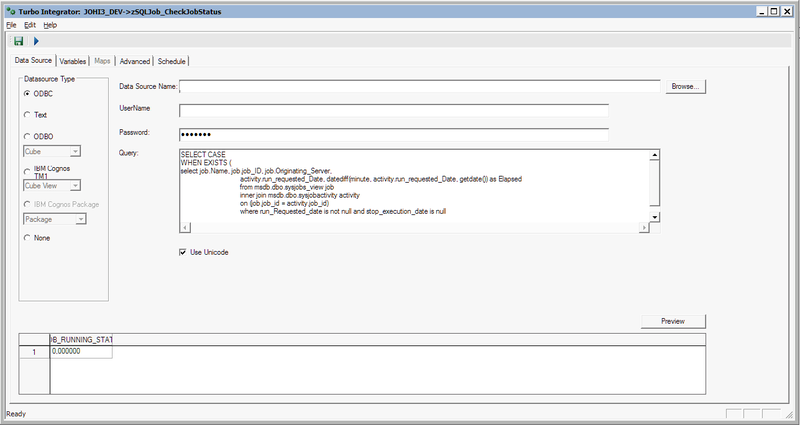 Login has the required permissions to access the source files etc. That can be solved by defining a proxy account and I have described it in my previous blog post. What it does is basically just opens the ODBC connection to the msdb database of the SQL Server instance and then executes the job. The magic here is that the process won’t finish until the job on SQL Server has finished. To have this functionality we need to poll the msdb database every 5 seconds and find out if the job has finished or not. The only magic with this process is to save the single result value to the global variable vnJOBSTATE_global that we defined in the previous master process. If the value is 1 it means that the job is still running and the master process keeps polling the msdb database every 5 seconds. When the job finishes the value turns to 0 and the master process can finish as well. There may be times when you need to execute SQL Server jobs to make sure your data to be loaded to TM1 is up-to-date. 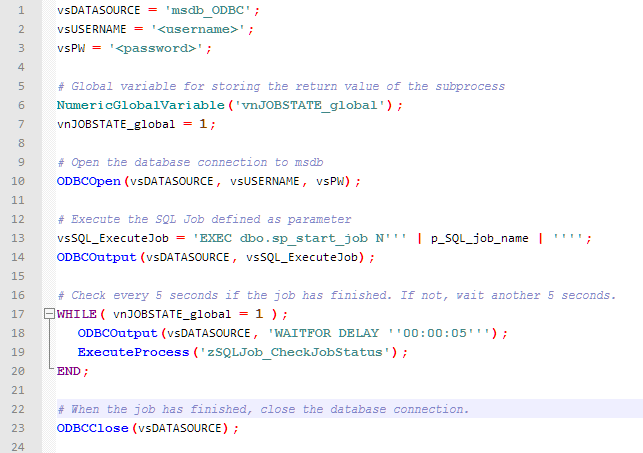 With this example you can do a nice and easy integration between TM1 and SQL Server and allow end-users to execute simple SQL Server jobs if needed.